If you feel like your shoulders and back are stiff after a long day at work or school, chances are that you have been hunching over your computer or phone for prolonged hours. Bad posture, such as the hanging of your head to look at your phone, or the constant leaning against a desk in a slouched position, put unnecessary stress on your joints and muscles, causing tension and strain. Fix your posture to improve the discomfort associated with lower back pain, neck pain, aching shoulders and migraines. With good posture, working out at the gym can produce more effective results as your exercises will target the appropriate muscles and prevent injuries. Follow the exercises suggested below to help improve your posture now! 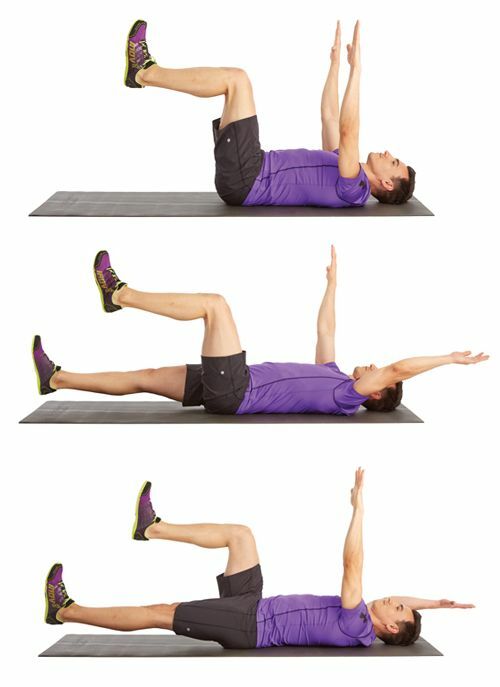 Designed to strengthen your core, this exercise provides more protection for your lower back than regular core exercises such as crunches and sit-ups. This exercise also targets lower back issues, and help to improve excessive pelvic tilt that may put unnecessary stress on the back. Lie flat on your back, and extend your arms in front of your shoulder. Bend your hips and knees at a 90 degrees angle. Engage your core and minimize the gap between your lower back and the floor. Take a deep breath. While you exhale, extend your left leg towards the floor and bring our right arm above your head. Ensure your abs are still contracted and that your back remains straight and not arched. Slowly resume to starting position. 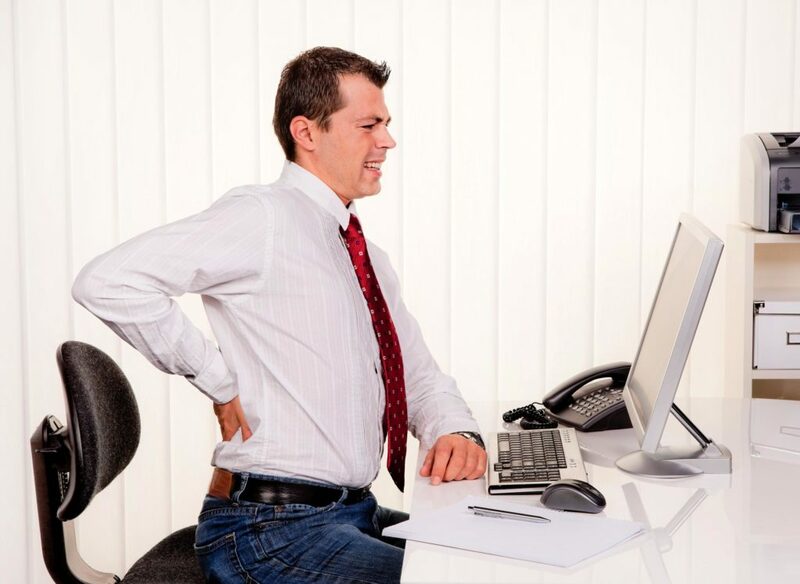 If you sit for prolonged periods in a poor posture, your hip muscles will stiffen and your pelvis position will be affected, putting stress on your lower back. Grab a pad or block, and go into a half kneel position with your right knee rested on the pad. Make sure your left and right legs are bent at 90 degrees angle, and that your hip is 90 degrees to your thigh. Ensure that your back is straight and your hips are facing forward. Squeeze your glutes, and push your hips forward ever so slightly without lowering your body. You should feel a good stretch in your hips. Stay in the position for up to 30 seconds, and repeat it on the other side. If you find it hard to recover into an upright position after slouching, this exercise will help to relax your stiffen back and rear shoulder muscles. Bend your hips at 90 degrees angle, and lower your upper body such that it is parallel to the ground. Keep your head raised, and straighten your arms towards the ground. Extend your arms to the side of your body at shoulder height, and bend your elbows at 90 degrees angle. Without shifting your upper arms or your elbows, slowly push your forearm upwards as far as possible. Resume back to starting position, and repeat this about 15 times. 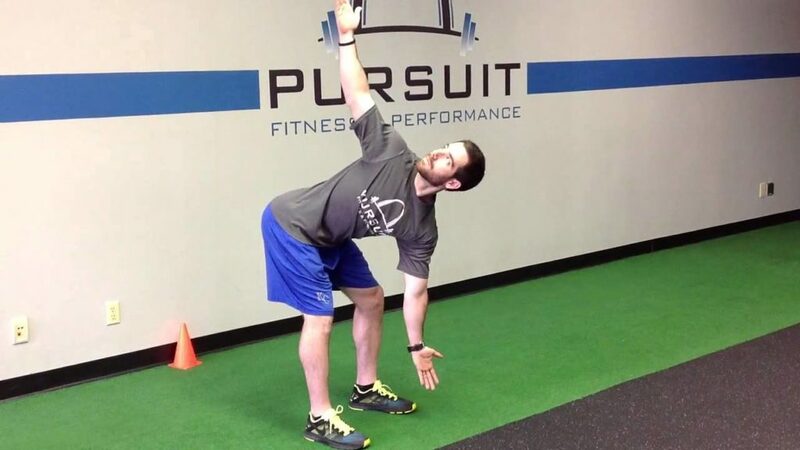 This simple and quick exercise helps to improve shoulder flexibility, and promote proper posture and spinal alignment. It can be done anywhere as long as you have a wall to lean on. Begin by standing as tall as you can, and lean flat against a wall. Press your arms into the wall, and ensure that your shoulders are opened up and fully in contact with the wall. Bend your elbows at 90 degrees angle and keep them in contact with the wall as well. Slowly slide your arms vertically over your head, maintain a bend in your elbows. Slide your arms back down to the side of your body. Repeat this arm sliding motion for 20 – 30 times. This routine helps to stretch the middle section of your back, which are usually tight and strained after prolong hours of sitting and slouching. In addition, it helps to improve hip and hamstring mobility. Stand with your feet shoulder-width apart, and bend your knees slightly while pushing your hips back. Rest your hands on your knees, so that your upper body leans forward. Ensure that your back is straightened and not arched. Staying in the position, slowly release and extend your arms such that they dangle in front of your knees. Turn your palms to face forward. From this position, slowly lift your right arm up to the side while you turn your upper body in the same direction. Keep your eyes on the hand as it rotates upwards. Your body should form a ‘T’ when viewed from the side. Return to the starting position, and repeat this on the other side. Alternate between sides for 10 times, and repeat this for 3 reps.
Do these simple exercises every day after work or school to correct your bad posture. Good posture keeps your bones and joints properly aligned, and reduce the possibilities of injuries or premature wearing of joints.